Let me tell you a little bit about the day. 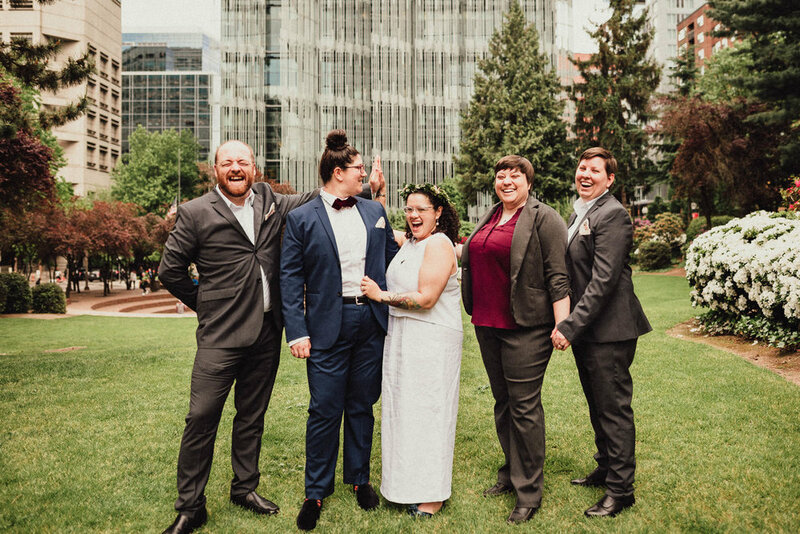 The wedding was at Portland City Hall. I had never walked in there before, but having now seen it I cannot understand why every person does not get married there. 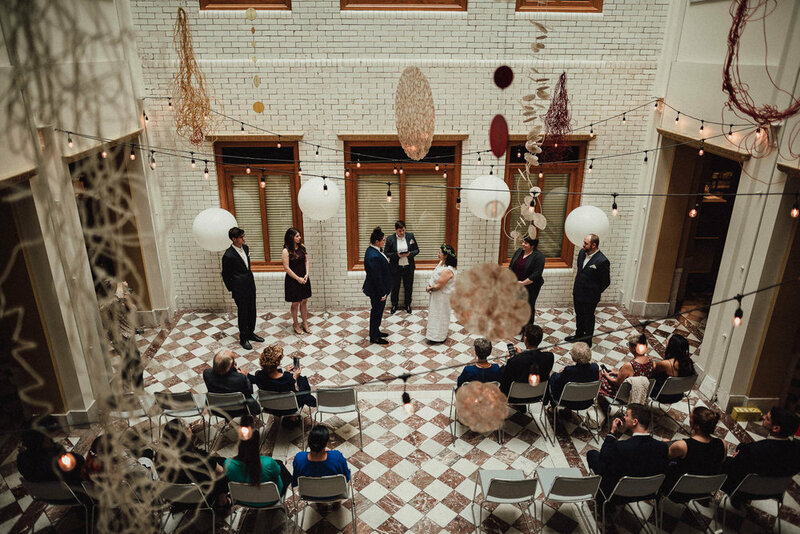 It is an intimate space that is stunningly decorated and full of fun details. And the ceiling is all glass so the lighting was stunning. Morgan and Abby had chairs for each of their guests with cute little hankies for everyone (even their photographers.) The hankies were definitely needed, the ceremony was full of tear jerking moments. 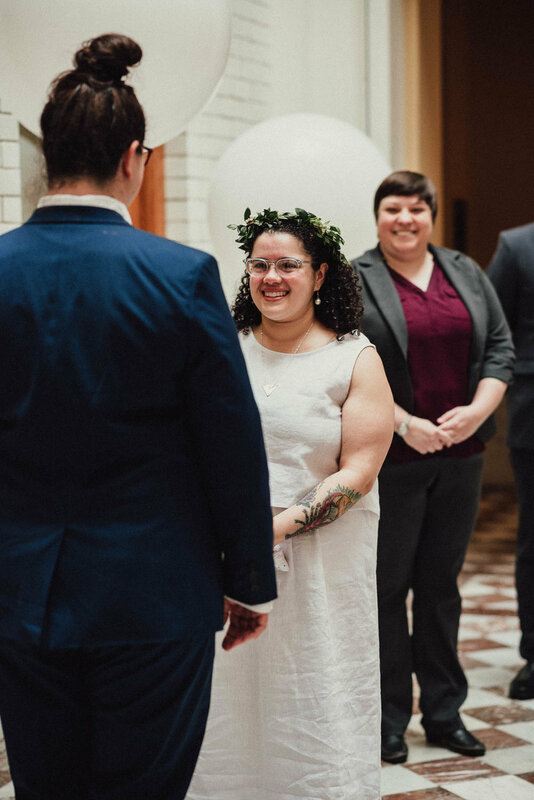 The ceremony itself was full of meaning. 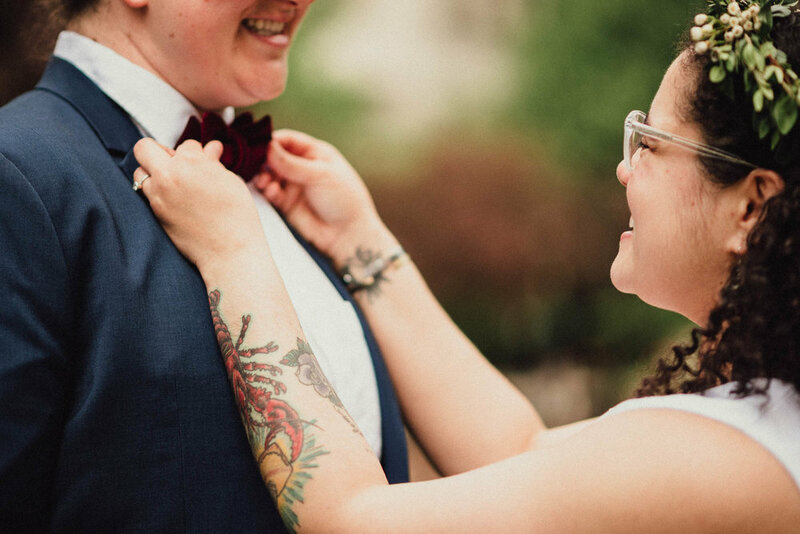 The two scripted it themselves and filled it with acknowledgments to all of the things that got them where they are today - their parents and family - their friends - and the court rulings that allowed them to marry. I am honestly getting goosebumps just thinking about the depth of the words spoken during that time. Prior to the ceremony we took some time to get in most of the group photos. Morgan and Abby wanted some more urban photos, which allowed Kristi and I to play around with different poses. 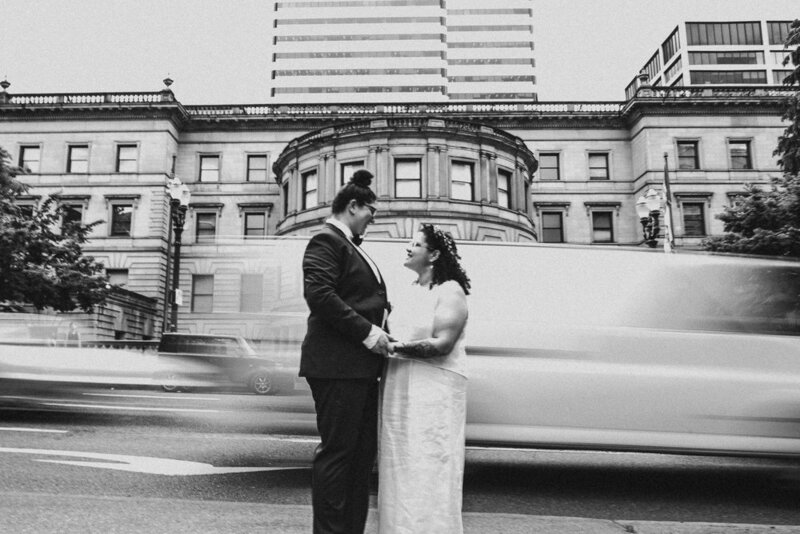 They were even patient with us when we asked them to not move at all so we could get a photo of the two of them with the moving traffic behind them! 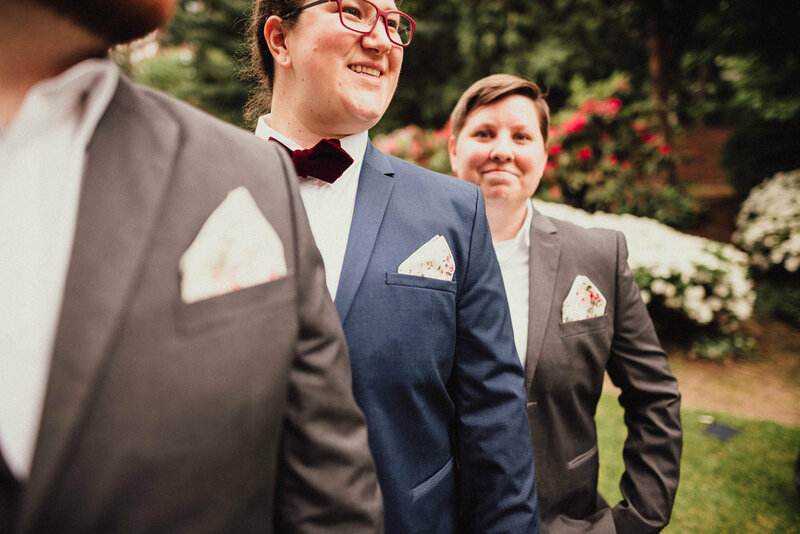 The reception was at the Cardinal Club in Portland, which is a local favorite of these two. I love that they were able to have their reception at one of their favorite spots. 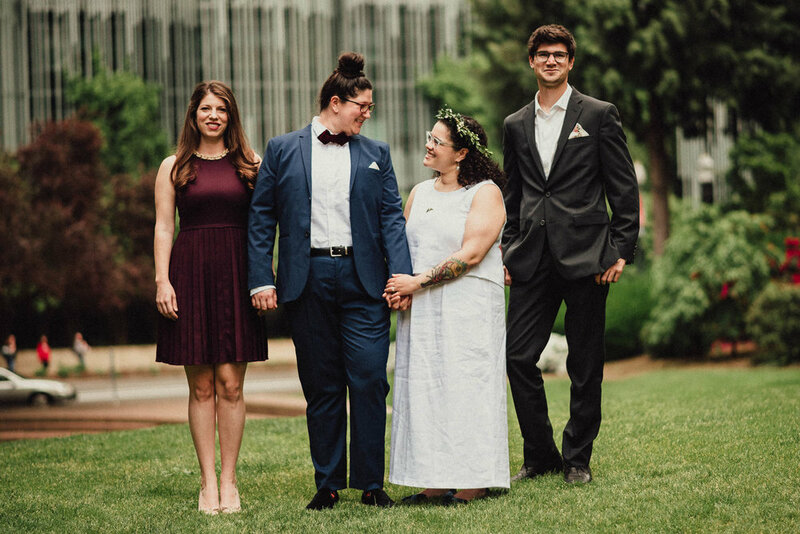 The reception was filled with family and friends excited to celebrate their love. 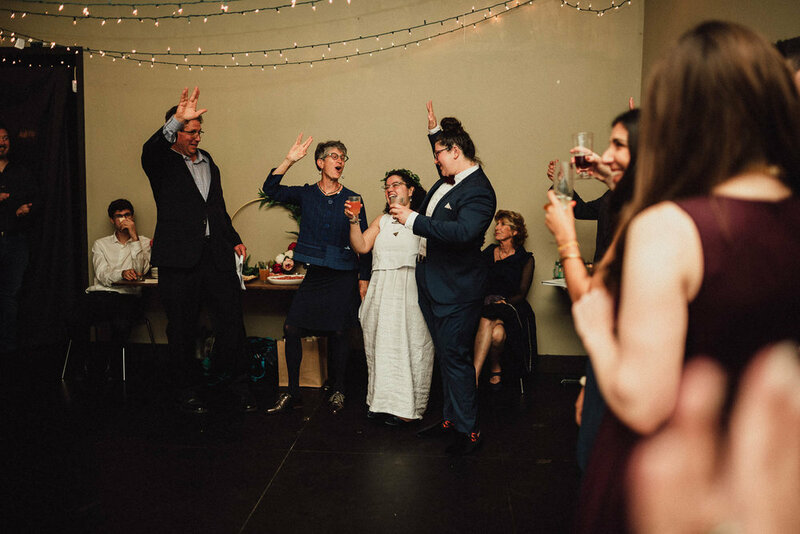 The toasts were full of laughter and clapping and tears of joy. It was such a wonderful celebration. Also. The details. The two spent so much time planning out all the details. We tried to capture all of them - but I kept being surprised but the next little well planned out detail we would find. Their ring "box" was the most stunning box I have ever seen (don't worry, there is a picture below.) They had posters at the reception up with quotes and sayings. And Morgan's post wedding jacket!!!! 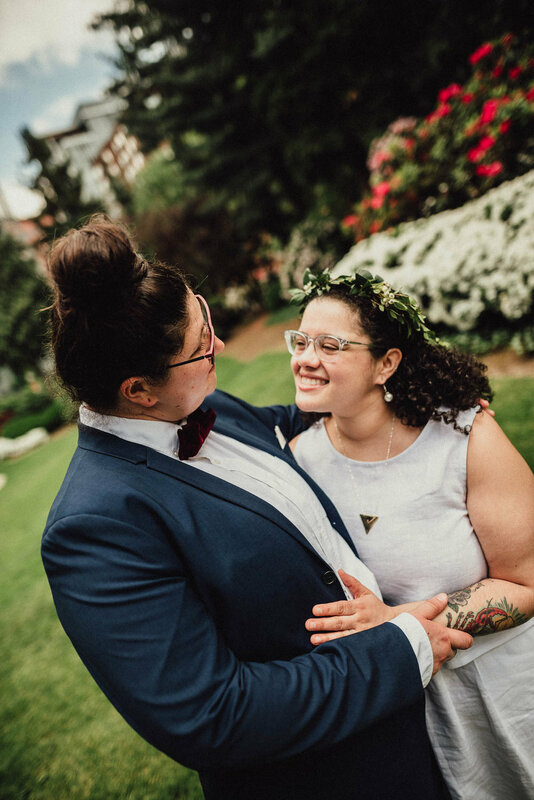 I hope you enjoy their wedding photos. You can also check out their engagement photos here.